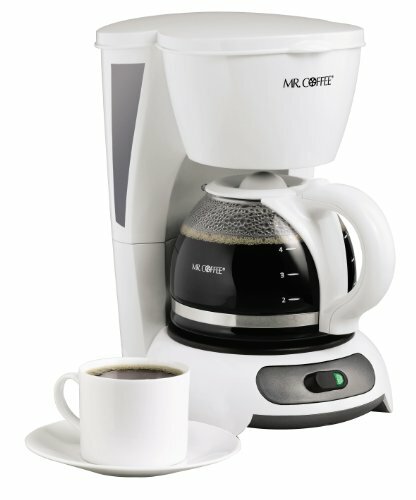 The classic functionality of Mr. Coffee’s 4-Cup Switch Coffee Maker helps you make rich-tasting, expertly brewed coffee without stress or mess. Should you need a cup before the brew cycle is finished, Grab-A-Cup Auto Pause is a lifesaver. It stops brewing so you can pour freely, and then finishes the brewing cycle after you place the carafe back in position. It also features a removable basket filter that lifts out for quick and easy filling and cleaning. Whether you want a single cup or 4, this no-fuss automatic coffee maker will deliver the goods, time after time.